Please note all prices detailed include the use of fully approved parts and Mobil 1 synthetic lubricants but excludes VAT. If you cannot find what you are looking for, or are looking for a repair quote then please contact us directly on 01933 354144 or at service@dovehousecars.com. When you decide to purchase a vehicle from Dove House Motor Company you can be rest assured that your vehicle will be protected with our fully comprehensive warranty scheme. Our highly skilled technicians and fully equipped workshop are also available for regular services and vehicle maintenance. We recognise that not having your vehicle is an inconvenience; therefore we always endeavour to return the vehicle to you as quickly as possible. A courtesy car can be made available for your use subject to availability and prior notification. At Dove House Motor Company your vehicle security is of paramount importance to us, as such we provide a secure storage facility where all vehicles are kept locked indoors overnight. Dove House Motor Company operates a first class service centre offering a fully comprehensive range of servicing and repairs. 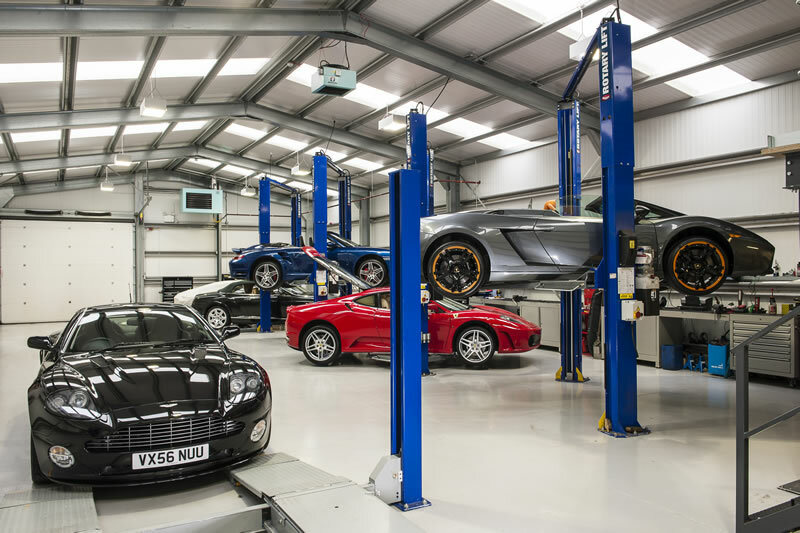 As Porsche, Ferrari and Aston Martin specialists, we can service all your sports car needs and use only approved parts in the service and repair of our vehicles. 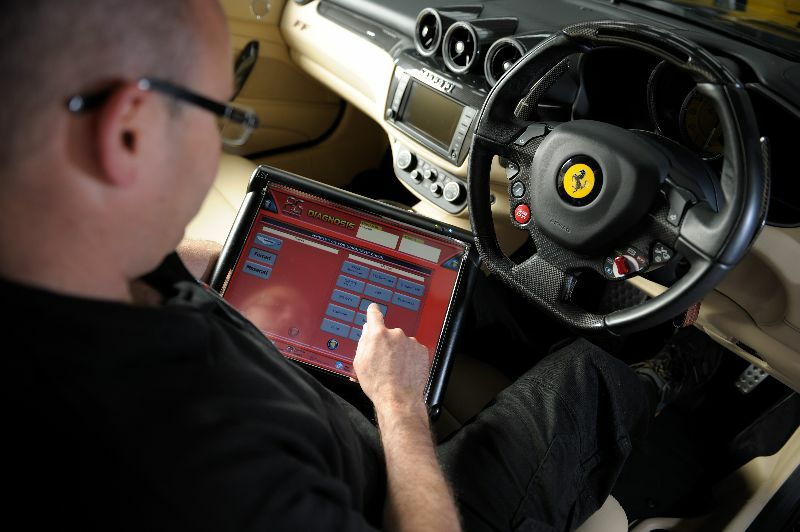 Our service centre prides itself on using the latest diagnostic tooling, alongside a fully equipped workshop allowing us to offer exceptional service to our customers. We understand that our customers value a clear pricing structure; therefore we have created our fixed price servicing menu where customers can select their vehicle and type of service required to get an instant quote online. To book, or obtain quotes for other vehicles or non-standard work please contact the service department on 01933 354144 or by email on service@dovehousecars.com. Looking For Fixed Price Servicing? At Dove House Motor Company we recognise the importance of having a clear and standard pricing structure; therefore we have established a fixed price menu for our most regular vehicles and services. Dove House Motor Company offers a real value for money alternative for servicing and repairs for performance and prestige marques. We are devoted to providing a first-rate service to all our customers whilst maintaining standard and transparent pricing. Current legislation surrounding new car warranties specifies that new cars need not be serviced at the main dealer in order to uphold the validity of the warranty. This removes the monopoly that main dealers previously held had over customers, and allows for freedom of choice in choosing your car maintenance provider. Harvey looked after me exceptionally. Excellent service and a professional set up. It was a pleasure doing business, despite Dove House driving a hard bargain. Exemplary service, an absolute pleasure to deal with Dove House Motor Company and make a purchase. The team at Dove House handled us very professionally from start to finish. The car was well prepared and they seemed to care about long term business, and not just making a quick sale. We would go back again to buy, so that says it all! Keep up the good work. From my initial phone call to Nick at Dove House Motor Company to viewing the car and then collecting it a few days later, nothing was too much trouble. I was made to feel a valued customer and kept up to date with the buying process throughout with emails and phone calls. Even on collection I was able to talk to one of their technicians about servicing and general running maintenance. Car is fantastic and was spotlessly prepared and valeted both at the viewing and collection. I would not hesitate for a second to recommend Dove House Motor Company. An enjoyable experience. Excellent service, which is why we came back to buy another car from you. We have not been disappointed. Having had my previous vehicle - a Gen 1 911 C2S looked after by Dove House I had decided that my next purchase would be from them. The service department, (Tony) is second to none that I have experienced in my 30 years of driving. The set-up is extremely professional, the staff - both in the workshop and sales team absolutely know the products. Nick West handled my purchase and what I found particularly nice was that there was no hard sell, no pressure but just a really pleasant and enjoyable experience both pre-sale and post sale - I can't recommend them highly enough! From the first contact with Dove House, I was truly impressed. Most discussion were done over the phone and a very good deal was arranged subject to viewing both cars. On arrival at Dove House I was met by Nick who proceeded to show me the Porsche 991 at it was exactly as "described on the tin". Nothing was too much trouble and it was rather rare to deal with a sales person who was both knowledgeable and courteous. Over all a great experience. All in all a very nice experience. This is the third car I have bought from Warren at Dove House and he makes car buying a pleasure. Please pass on our thanks and we will of course recommend you to friends and colleagues. A first class service and nothing was too much trouble. Regardless of the purchase, the experience from first visit to completion was first class. Completely satisfied with the car and the purchase procedure. I am enjoying many happy miles of motoring. 'I wanted to send you an email sating how impressed I have been with the service you have given to me since the purchase of my car from Dove House. You have always been an absolute pleasure to deal with and through any issues we have had with the car never tried to brush me off and always rose to the challenge. You also did this with a style that and never made me feel in anyway uncomfortable, even passed the warranty period. You have been the finest garage I have ever had the pleasure of dealing with and I could not recommend Dove House highly enough. It's reassuring to know people like you still exist in this industry and have the organisation behind you who support this above and beyond approach'. I was made to feel special and as a result the whole experience of buying a car from Dove House was second to none. Thank you. Just a short note to express my great satisfaction with the excellent standard of service at Dove House. Have just had my Boxster S (bought from you six months ago) in for MoT. The car sailed through its MoT, so obviously it was well prepared when sold to me. Not only that - to my surprise it also received a valet, and your chief mechanic Tony fixed a small problem with one of the ignition keys not working. He is most helpful and a tremendous asset to the company. 'I purchased a 997 C2S from Dove House in July 2013. I travelled 150 miles from Lancashire to Northants to view the car. Harvey at Dove House provided a number of accurate photographs prior to the viewing and was upfront and honest throughout the viewing process. Unfortunately 8 weeks later it developed a minor issue with a rear light cluster, however the problem was fixed by my local Porsche specialist free of charge under the warranty that Dove House provided with the car. No hassle, very smooth experience from Dove House and when I had a problem they sorted it out quickly although I live 150 miles away from them. I can't speak highly enough of Harvey and the guys at Dove House'. Love spending with you, see you again soon! It was a singular pleasure dealing with you in spite of the journey. Outstanding, it's their attention to detail. The guys at Dove house were really helpful, this is a great place to buy a car. A five star service all the way. It’s the first time in my life that I’ve purchased a quality sports car, it’s been a pleasurable experience both purchasing and owning a car I have dreamed about since my youth. I have already thanked Nick and Tony personally for the courtesy and professionalism shown to me throughout my dealings with them during the purchase process but what I would like to also add is that it was refreshing to again experience people with an infective enthusiasm and passion in the pursuit of their respective jobs. It is something sadly lost in today's customer relations and service. Thank you for restoring it. I would like to say how much I am enjoying my new car. This is my first Porsche and I'm finding it's abilities revealed the more I drive it (quicker is better). Friends and colleagues like it too. I would also like to say how much I appreciate the time you took and advice offered when deciding what car to buy. 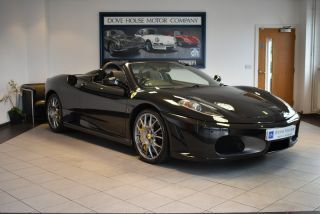 I can recommend Dove House Motor Company to anyone who wants to buy a sports car. Thank you to everyone at the dealership, you can all be very proud of the business you are all part of. Very helpful, excellent customer service - would certainly recommend a car purchase from them to others. First class service, a very good experience buying a car at your dealership. Many thanks! Very professional, great customer service and a special thanks to Harvey and Tony. Now that I am over the initial shock of having to find a considerable amount of cash to repair my pride and joy, I would just like ‘again’ to express my sincere thanks to you and Tony for all the help and advice given to me on Monday. To you especially, for the offer you made in efforts to secure a warranty on the car, being willing to take time out to drive to Leicester and to oversee the necessary documentation to obtain that warranty; hence saving me a considerable amount of outlay. To Tony for his concerns for both me and the car and wanting to commence work on the car for me as a matter of some urgency, then in contacting ‘Hartech’ and his efforts to get some priority on their repair system knowing we have trips planned at home and abroad in the very near future. As we have proclaimed to many other Porsche owners we know and have met - Dove House Motor Company gives first class customer service, renowned value for money and “go the extra mile” in their efforts for complete customer satisfaction – and we shall continue to do so. You have been gifted with exceptional members of staff who form an impressive team with their loyalty, professionalism, reliability and a willingness to help. Whilst I am only too well aware of how very busy sales, workshops and office are at this time, I wish to say that I sincerely appreciate all the efforts made on my behalf, in particular by Tony and his mechanics for fitting in a massive job within the really heavy workload that the workshops must have at this particular time. In my dealings over quite a few years with Porsche OPC’s and Independent Porsche specialists I have never before come across such a committed workshop manager as Tony Whitcombe – in my ‘humble’ opinion he is such an valued asset to DHMC. Please convey my very best wishes and thanks to all your team. 'Just a quick note to say thanks for everything. Got the car home without incident! It still looks awesome in the metal and I am impressed with the Supagard as it really seems to repel the muck. I look forward to a long and happy relationship with my 1st 911 and Dove House (even if you are a few miles up the road!)'. 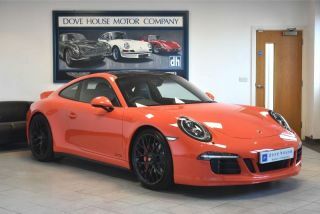 'Collecting my porsche today from Harvey was a real pleasure and reminds me why I was keen to buy a car from Dove House. A genuine team effort from sales to the finest valeting I have come across - quality is clearly at the heart of every aspect of your business. 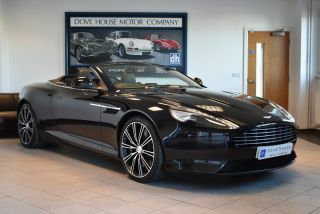 I will recommend Dove House to anyone trying to source a best of class prestige car - the buying experience is relaxed, well informed and highly professional. Tony Whitcombe's open and helpful approach on technical advise is just priceless and very re-assuring to the new customer. Thank you all, I shall be back. The Cayman drives and handles every bit as good as it looks - I am so proud of it'. Another car bought from Dove House and another exemplary experience. Nick looked after me so well, I have no room for criticism, both he and Dove House went the extra mile to help me and I would 100% recommend them to anyone considering purchasing one of their cars, Thankyou! I am so pleased with the my Ferrari that I just wanted to email and say thank you so much for your amazing service from start to finish. You gave me confidence from the outset, which is so important when buying a car like this. It is now covered up in its new home, snug and warm. I will have to get it out and clean it tomorrow, or is that just an excuse I hear you ask! I will definitely be bringing her back for servicing and for you to look after her, so it is not the last you will see of her. I will also be looking for a 911 for my wife later on in the year so I will enlist your professional help once again. Finally I would like this email to be shown to whoever should know what service I have received. It makes a great deal of difference in today's environment to look after customers and many could learn from your professionalism. Once again, huge thanks and I will be in touch soon, that I promise. 'Just a short note to express my great satisfaction with the excellent standard of service at Dove House. Have just had my Boxster S (bought from you six months ago) in for an MOT. The car sailed through its MOT, so obviously it was well prepared when sold to me. Not only that - to my surprise it also received a valet and your cheif mechanic Tony fixed a small problem with one of the ignition keys not working. He is most helpful and a tremendous asset to the company'. Dovehouse have been a pleasure to do business with, the staff are very informative and professional. Harvey the salesman in particular, has made the purchase of my Porsche an easy and hassle-free process. On the one occassion I came across an issue with the vehicle, the Dovehouse staff dealt with it quickly and efficiently, specifically the in-house technicians and valet. I would highly recommend 'Dovehouse' to anyone who is looking to purchase a prestige vehicle. Excellent service throughout. Many thanks. 'I am writing to say thanks for your helpful service when buying my first ever Porsche. I can happily say that Dove House are the most professional and knowledgable people I have ever dealt with when buying a car. I will certainly be coming back to see you and will be using you for my aftersales back-up'. Just to say a big thank you for your excellent service. I am so happy with the car and the exceptional service you provided. Just little things like reserving the car for me until i came to view it, getting the car serviced so quickly and also going over all of the cars functionality in such depth really took out the stress for me which is what i really needed after the bad luck of having my previous car confirmed as a total loss after a large van drove into the back of me whilst i was stationary in traffic. I will be contacting your garage with plenty of notice for a full service next year before the warranty expires on 1st September 2016. I was going to investigate my options of extending the warranty with BMW but will be bringing the car to your mechanics to carry out the service every year as the car drives fantastically after their work on it. Nice to meet you yesterday. Thanks for the tour, very impressive and I can see how passionate you guys are about DHMC. Drive home was awesome, even though the weather and traffic was awful, something made it special. Still haven't stopped smiling and keep wanting to go out and look in the garage. Thanks for an excellent buying experience. I have already told my friends about how good your company was to deal with and how good Harvey was in dealing with both my purchase of the Turbo and my part exchange. From the moment I spoke to Harvey about the Turbo and his accurate description of its condition etc together with the details of my boxster everything was perfect. The turbo required the wheels being refurbished and a couple of scratches on the paintwork being mopped out and all of this was carried out to an excellent standard. Also as Harvey was busy when I arrived I was looked after for a while by one of your vehicle technicians who was also very good and professional. In summary the whole buying experience was perfect and I have no hesitation in recommending your Company. We would just like to say a big thank you to everyone we met at Dove House Cars, you are all very helpful and professional. Dove were very helpful orgainising a test drive and sorting the car out to my specification. Regular updates and photos showing works done. The most professional car dealership without doubt. They never for one minute pushed me into a sale . What they wanted to do was make me fully aware about the car , its history and quality. They spent over an hour showing me round the car inside and out - the car itself was immaculately presented. They advised me on the finance and insurance options . They talked me through the purchase of the car at every step of the way. I was particularly impressed when I asked about the price and the way they responded ; they gave my question serious thought and when into some detail and price comparison to justify the asking price which I thought was very fair. And when I went to collect the car - again the presentation was exceptional - and the whole experience was very special and never to be forgotten. In fact I couldn't fault them from start to finish. 1 week in and my life has changed!!! The car is beyond amazing...I'll be highly recommending yourself and Dove to my Surrey boy work mates!! Thanks for your support throughout. "A first class experience. It was a joy to deal with Dove House. I would not hesitate to recommend your company. Truly an oasis of motoring excellence"
'Past experience of buying cars has not always been particularly pleasurable. Usually the first obstacle is the salesperson who never listens to what you want and has the impression of doing you a favour. In my opinion Dove House have re-written the book in this repect. Harvey, who handled my purchase of the Aston Martin DB7 never pressurised me but gave me support. On the occassions I had to visit or contact your company, all the staff were welcoming and created a relaxed atmosphere. I have already told friends and colleagues about Dove House and will not hesitate in supporting you in the future. I've been dealing with Dove House and will be picking up a 987.2 S tomorrow. I have to say that to date the whole process has been very pleasant, with the main point of contact being Harvey Beaumont. I always consider initial impressions to be paramount, this guy has it nailed. The level of service has been exceptional, there's never been any pressure, a genuine interest in your needs, and just honest information freely given by a true enthusiast who would happily talk motors all day long...insert a constantly yawning wife! Harvey sensed this and gave her the keys to go sit and play in the Aventador and Ferrari California! Coffee's not too bad either! To be fair there was little scope for a price reduction, it had been recently reduced, however; by way of prep the car has had a brake fluid change, 2 x new 'N' tyres, 12 months MOT and I've just received a phone call to say it's good to go, now being valeted and then a "oh, by the way we decided to change out all 4 discs and have fitted new pads, they were not to our in house requirements". This was said in such a manner, just slipped into the conversation really, as to be 'routine'. Nice. (I had previously checked the discs and really didn't consider them to be worn anywhere near to limits). So, all in all I'm pretty happy so far. Dove House experience, part two. Well, I picked up the Cayman from Dove House on Saturday. I wanted an early start for the 2 hour trip and I was going to be dependant on the wife taking me. In order to achieve this my prep was immaculate, 4 days out and the housework was completed (along with with an extensive maintenance programme), meals all cooked, bath run every evening and accompanied by a glass of Suav Blanc, cats fed on time, flowers 2 days out...best laid plans and all that... Anyway, we made it pretty much to schedule to be greeted by Harvey. We were taken to view the car which was presented in the handover bay, it had been thoroughly valeted and polished to a high shine. Upon inspection it was evident that the discs and pads had been changed out for new, (see above post) and in addition Harvey informed me that the battery had also been changed. Impressive, cue smile. Paperwork completed and keys handed over, along with a complimentary Porsche leather key fob, and we went back to be shown around the car to be given a comprehensive 'this is where everything is' tutorial. Cue big smile. Get in car, drive home...cue massive bloody smile all the way home! To summarise, it was a very pleasant experience and one I'm sure would have been identical if I were to be buying one of the very high end cars in stock. Thanks Harvey! Sales representative was very helpful, not at all 'pushy' and allowed time and space to make a decision. Impressive aftercare, would definitely recommend and would return for future purchases. Fantastic car! I was seeking to buy a Porsche 911 (964) of a rare and precise specification - C2, Manual, Coupe, Very low mileage, original concours unrefurbished condition. I had been looking for some months without success. (There are quite a few varied 911(964s) around but not to such exact criteria.) When a car of that description was advertised on the Dove House web site I enquired immediately only to find that the car had sold to the first inquirer just before me - the first day it was advertised. One month later I was contacted by Dove House to tell me the car was back in their showroom, the previous buyer having found the car was not suited for his Central London daily commuting requirements in heavy traffic. I was able to negotiate the purchase quickly with a very friendly, efficient and supportive sales team, who helped to make the whole process easy and enjoyable. I am very happy with my as new, rare and valuable Porsche, which I am confident I acquired from a very reputable dealership. On behalf of Su and myself, thank you so much for your time and trouble in preparing the GT3 to such a high standard. Yes, of course you are a business and thus your main aim is to make money but we both were most impressed with your professionalism and attitude. Certainly a company to do business with and rest assured we will make sure that members of Porsche Club Great Britain are made aware of this. The drive home was great and Su had a smile on her face the whole time (well apart from when I insisted of a go). Thank you once again. Excellent customer service. Happy to answer my questions. I would definitely recommend Dove House to anyone. First class service, a very good experience buying a car at your dealership, many thanks. Really happy with the experience! Once again it was a pleasure doing business at Dove House. The atmosphere is relaxing but professional, the staff are extremely friendly and knowledgable and Harvey does his upmost to ensure customer satisfaction. Courteous and knowledgeable staff made the buying process easy and stress free. They honoured every word of their verbal agreement. Excellent service. Exceptional! This is the first sports car I have bought in over 35 years and was a little hesitant. The team were superb and patiently answered my endless questions. At all stages of the purchasing process I felt I was in very professional and reassuring hands. I can't recommend them enough and would give them 6 stars! I will definitely be using Dove House for servicing. I would just like to say a big thank you to you. I'm so pleased with my Porsche, everybody that sees the car comments on what a nice car it is. I was so happy with the way you went about doing business. You offer a great service from initial consultation down to collection of the car. It's a shame other companies don't share the same passion that yourself and all the staff at Dove House have. I will certainly be dealing with Dove House again in the future and will be highly recommending you to anybody that is looking to purchase a Supercar. Thank you once again. Firstly just wanted to reaffirm what we said on Saturday - we thoroughly enjoyed buying the Porsche Cayman from Dove Motor Co, you were an absolute joy to deal with, we so wish our other car purchases over the years had been as much fun! And secondly...... I absolutely love her (we decided she's definitely a 'her'! ), the Mercedes is spending a bit more time on the drive at the moment!!!!! We will be back!!! 'I am delighted with the 996 C4S I bought from Nick. The sales process was very straight forward with no pressures at all, different to a number of other dealers I visited! Behind the scenes Tony and Philip (in the workshop) worked hard to make sure my car was mechanically spot on and the results speak for themselves. Tony and Philip need real praise too, qualified Porsche tecnicians, these guys are the real deal and my car will now be worked on by some of the best in the business. Thanks to all the team! Quick note to say how pleased I was with the work on the Ferrari. Car running really well and spotless detailing too! Many thanks to Ed and everyone. These guys made buying my 911 a fantastically seamless experience. I was very impressed with the quality and variety of their stock. My sales contact was Nick who was very knowledgeable and helpful. Being a salesman myself I admired his professionalism. He was never pushy and made me feel very comfortable throughout. As far as the car is concerned I'm absolutely delighted and wouldn't hesitate in giving them my highest recommendation! I recently heard that your company was opening up as an independent service centre for Porsche cars, therefore I took the opportunity of trying your workshops by booking my car in for a service and to have some remedial work undertaken on the exhaust system. From the initial call to your Service Manager Tony, to discuss prices etc and throughout having the work done, the customer care and service afforded to me was absolutely superb. By the way, your coffee is excellent! Having dealt with various OPC's in the past, I think they could learn something from your team in giving true value for money and personal customer care. Your technicians were most helpful and friendly. I sincerely cannot praise your team highly enough and I will most certainly spread the word about Dove House at every opportunity. I am an active member of the 'On Line' Porsche community and I will certainly be recommending your business on the various forums. I wish you every success with the workshop, you have one very happy customer who will most certainly be back. Very good service and a pleasure to deal with. You are now our 'performance car' supplier of choice. I love the car! I would have no hesitation in recommending Dove House and will certainly be back in touch when I am next in the market for another Porsche. Fantastic company, a pleasure to deal with. Excellent advice and service. Harvey dealt with my purchase and I was entirely satisfied with his handling of the sale. The car is superb, and I was thoroughly reassured by your comany's approach to getting the car fit for purchase. This included the multi-point check, replacement of a damaged windscreen and front wheel bearings which had been raised as an issue at the MOT. As a non-mechanically orientated person who just likes to drive, I found the business of buying a second-hand car through your company very easy. The fact that you have your own mechanics on-site is particularly reassuring. I was confident that I was buying a good car that had been thouroughly checked out. I am pleased I found the car via a posting on eBay. This particular specification of Mercedes is very rare and I was pleased to have come across it. I had been searching for this particular colour and specification for a year. I'm glad to have done business with you. 'Approximately a year ago I purchased a Maserati from your dealership, which at the time, was unknown to me. Since then I received nothing but quality service from your staff. As I am away a great deal of the year overseas the few odd things that have gone wrong have been taken care of without questions, while the vehicle was under warranty. Being a business man myself I have to commend you and say you are extremely lucky to have Harvey and Tony working for you. I would use your company when I purchase another vehicle and would recommend your dealership to my friends. Thank you for your exceptional service'. I have recently purchased a used BMW M5 from Dove House Motor Company and would recommend them to anyone looking to buy a prestige second hand vehicle. Nick the sales manager I dealt with was extremely knowledgeable and acted with professionalism throughout the process. Driving now for almost 50 years, I can honestly say my recent experience with the Dove House Motor Company has been one of the very best. At no time was there any pressure, and the selection of hand picked high performance cars on offer were superb. Probably not the cheapest, but you only get what you pay for, and this experience at least, showed you are paying for the very best. And it goes further, for if you want to learn more about the cars, technical or otherwise, the very polite guys at Dove House will explain all. It seems nothing is too much trouble. I would say to anyone looking to purchase the type of car Dove House specialise in, its well worth travelling to Rushden, don't think you'd be disappointed. I would recommend them most strongly.